“Shicker is a goy”—drunkards (and addicts of all kinds) are not Jews. The religious and secular Jews living in Sara Katz’s neighborhood of Williamsburg, Brooklyn kept this Yiddish folk saying alive. But Sara knew it wasn’t true, not for her secular Jewish family, which― with the best intentions― made one poor decision after another in an attempt to save her father from heroin addiction. So Sara watched her father suffer in secret. Sara comes of age in the 1950s and 60s when there were no models of sustained, community-based supports for recovery; and “prison farm” rehab hospitals and inept methadone clinics in rundown neighborhoods were the norm. 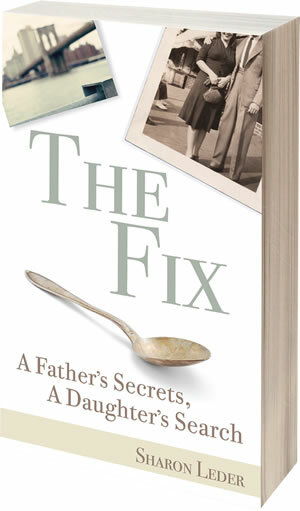 The Fix: A Father’s Secrets, A Daughter’s Search is a novel telling Sara’s story as the oldest child of a father addicted to heroin. It is based on a true family story, but some personal stories are too painful to write as first person memoir. The book is a fiction about a persona, Sara Katz, who struggles to love her father, a butcher from an immigrant family, a man she also fears and loathes, an abuser who can also show his loving side. Sara, who’s been her mother’s confidant since age eight, constantly challenges her mother’s second-generation tendencies to keep her father’s addiction secret, and her grandmother’s old-world impulse to deny her son’s “sins,” even after his death. All is conveyed through the eyes and ears of Sara, who, driven to shed unwarranted shame, is motivated to tell the tale of her father’s life and the malfunctioning system that treats him. Sara might have turned into a cynical Holden Caulfield, but instead she escapes alienation by identifying with the political climate of civil rights and feminism growing around her. The Fix tells the untold true story of Jewish youth involved with jazz and drug culture in the Depression years, the shattering effects on family, and the unexpected response of a daughter catapulted into feminism by resisting social norms of her mother’s generation that demeaned women if they were not attached to men. It’s about a young girl who feels isolated, even in her own family. Sara must find a way to heal inner conflicts caused by her father’s mental depression and her changed circumstances at home and at school. It’s about coping with grief, and finding the courage to speak the truths that lead to healing. When I reflect today on Sara’s life, which was much like my own, I think about the choices I’ve made that were influenced by my father’s addiction. As author, I granted Sara more freedom than I had. Sara lived her dream of going away to college after her father died because she earned a scholarship, while in real life, I stayed at home after my father’s death and lived with my mom, brother and sister. I attended a city college in my neighborhood, where tuition was then $24.00 a credit, which was all we could afford. But my emotional ties to my mother also prevented me from leaving home, even if I could have afforded it. My family was in turmoil, but one thing was certain. As the oldest child who had witnessed my mother’s experience of physical and emotional bullying by my father, I internalized a deep sense of responsibility for her and my younger siblings. I couldn’t leave them behind! We had gone through family trauma together, and that experience bonded us strongly. The bonds with my siblings remain, though our lives have gone in different directions. At the end of the narrative, Sara is about to graduate from high school when she writes a letter to her deceased father, a victim of heroin overdose. Sara’s last words to him are forgiving; she wants him to be proud of her in college and beyond. However, in real life, I didn’t fully forgive my father until I had gone through the long process of writing extensively about my past, a process of continual revision that lasted thirty years. Use the button below to order The Fix through KiCam Projects today! "The Fix, A Father's Secrets, A Daughter's Search" is a most touching and thoughtful book about a loving family and its efforts to save the father from his addiction to heroin. Written with compassion and respect, the story is a wrenching one. The family is Jewish, and addiction is the guilty secret; it begins before Josef Katz, the father, has joined the military in World War II; even before his marriage. Josef's helpless addiction rips the family apart. Sara, who adores her father, is charged with saving him. But she cannot. Enmeshed by family secrets and strife, she searches for clarity. Many will identify with young Sara in her attempts to resolve what is an impossible situation and to bring peace and stability into the home. Sara's quest for knowledge and understanding and her desire to help others will become her life's work. This book documents her difficult journey toward forgiveness and love. It is a journey into the heart. Beautifully written, "The Fix" is an important contribution to the human struggle For all concerned with addiction and its consequences, for anyone with addiction in the family, this is a must read. The Jewish experience in 20th century America has been well documented. And yet, to my knowledge, no story exactly like Sharon Leder's has been told. It is, like many memoirs, a snapshot in time that reproduces an era, namely that of first and second generation Jewish Americans in the post-War era. At the same time, it is a grimly accurate depiction of the twin diseases of addiction and codependence as told by the daughter of a Jewish heroin addict. Without being didactic, Leder's story is a specimen of pathology that captures the hallmarks of this progressive and fatal disease, to name a few: shame, secrecy, betrayal, abandonment, fantasy, perfectionism, blaming, rescuing, and the various lies family members tell themselves, others, and one another in an attempt to create stability in an unstable situation. Those who have no firsthand experience living with addiction will find this story an eye-opening introduction of sorts to the family dynamics of this disease. Those who can personally relate will find it both disturbing and comforting in its familiarity. In either case, anyone interested in joining a woman in recovery as she recalls a childhood beset by codependence and addiction will appreciate the honesty and authenticity of this portrait. Jessica Shapiro, 12 years old: I loved this book for so many reasons—to begin, I loved how the book deeply explained how drugs affect your family life soooo much more than drugs could even affect your body, even though they do fatal damage. I also noticed the way the book describes Sara making decisions that seemed above her age level, like at the end of the book when she has to decide between her life or her Mom’s and siblings’. She shouldn’t have to make those decisions. Also I would love to read a sequel. In school we learn about drugs, but they tell us about how they affect your body but not how they affect your future family. This story of a young girl and her family in the 1950s and 60s is focused on the effects of heroin addiction on both the addict and his family; his wife, three children, and his parents. Leder illuminates the overwhelming grief, resolution, and forgiveness that the main characters, Sara a child and her mother Helen, experience as they live with the father struggling with his disease. This novel addresses with honest and poignant attention the helplessness, hope for recovery, and sequence of attempts to cure the father. The clarity of the writing, the empathy for the characters, the lyrical tone, carry the reader through the arduous and painful journey. This novel speaks to the reader with its complexity, as we watch Sara navigate her way through a series of emotional losses, and through her fight to understand her father’s illness. This book will appeal to readers who have experienced the tragic decline of a parent due to addiction. It conveys the hope that struggling to face the facts can bring growth and understanding, while hiding them leads to confusion, shame, and self-doubt. The author conveys the family life of the young girl who “needs to know” with warmth and subtlety. She presents the addicted parent as neither demon nor victim, but as a fully rounded human being. 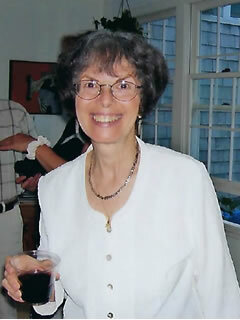 Arline Lowenthal, School Psychologist, Ph.D. School, Community Psychology; New York State Department of Education. This reader feels privileged to be trusted with Sara’s story. The burdens that the family of an addict has to bear rarely get attention. Sara’s story is a riveting one. Sara is precocious and inquisitive. Her questions go unanswered for the most part and she is called upon to keep secrets, to act as if she were an adult and to understand that which is incomprehensible. In this book, we see the hidden tragedy of a family looking for the right words, the right program, the right environment that will change the future for the better. Unfortunately, this search is in vain. We read with sympathy the resulting grief, guilt and anger. Sara prevails in the end and learns what she needs to know to go forward to adulthood. This book is an important entry into a mostly hidden world. I recommend it highly, especially to young adults. Stephen M. Joseph, Editor The Me Nobody Knows: Children’s Voices From the Ghetto, Adapted for theater and winner of Obie and Drama Desk Award for Best Musical and five Tony Award nominations, including Best Musical. I am happy that many readers will be able to share the pleasure I had in reading your story. It has a great sense of time and place, and I never before (or since) read a story of Jewish working-class life with heroin at the center.